I do love me some Schubert solo piano music. After Beethoven and Debussy, Schubert is probably the composer I listen to most in the solo piano repertoire. The sonatas from D664 on, the Impromptus, the Wanderer Fantaisie, the Moments Musicaux: I love ‘em all, and I always enjoy hearing both old favorites and new and, hopefully, fresh recordings. 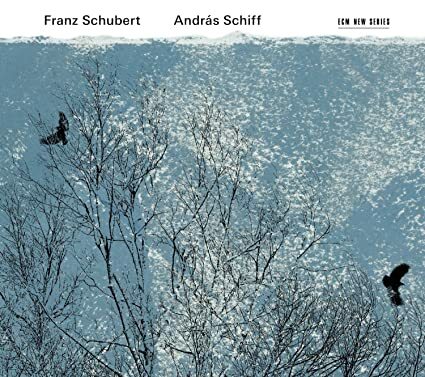 With Andras Schiff’s new release of Schubert recorded on a fortepiano, I decided to buy not only his new disc – Schiff releases are basically mandatory purchases for me – but also to splurge and by a bunch of Schubert discs. As it happened, this splurge also overlapped with my Italian market release splurge in the form of Michail Lifits’ twofer including D845 and D894. Schiff got the first spin. Schiff’s Decca Schubert recordings are up there with the best to my ears, so when I saw that he recorded Schubert for ECM, I was most excited. So far, irrespective of repertoire, I prefer Schiff’s ECM recordings to his earlier outings. Alas, these recordings are on fortepiano. Very few artists have been able to produce fortepiano recordings I really enjoy rather than endure. Paul Badura-Skoda and Penelope Crawford manage the feat in Beethoven, but Paul Badura-Skoda’s Schubert isn’t my thing. There’s something about Schubert’s writing that seems to beg for the longer sustain of a modern grand, for the beautiful legato that is possible. And Schiff is a proper pianist! Well, not really, not anymore. His last release of the Diabellis included a recording on the same 1820 Brodmann used here, so he is exploring new instruments. I generally do not read liner notes, but for this Schubert release he wrote an essay called “Confessions of a Convert” in which he expounds on why he now loves to perform on a fortepiano. He seems convinced, and it is reflected in the playing. The set includes six works. The D817 Hungarian Melody gets things off to a good but not great start. Part of the issue is getting used to the sound. The Brodmann seems to produce no high treble at all. It produces a dull sound. However, the closely miked recording also reveals all manner of little details throughout. But the piece, not my favorite to begin with, never jells. Things pick up in D894. The instrument definitely lacks the power or sustain of a modern grand, but Schiff more than period specialists I’ve heard, manages to play with a good amount of power where needed, and the instrument ends up being more about quiet playing, allowing for all manner of subtlety in the slow movement. Schiff is just the guy to bring it out. The Moments Musicaux that end the first disc ends up being the highlight of the set. The lack of sustain allows Schiff to play some passages with a soft bluntness, lending a darker hue at times, but he also manages to make some of the pieces sound quite lyrical, despite the instrument. The second disc starts off with the D915 Allegretto, which sound just dandy, and then moves to the D935 Impromptus. Schiff manages much the same feat as with D780. The set ends with D960. Here the shortcomings of the instrument are inescapable in the opening movement, which sounds too small, and the bass trills, for the most part, too plain. That written, as the movement progresses, Schiff uses the ability of the piano to stop on a dime to good effect. The second movement sort of becomes the more intense center of the work. I write sort of because, while it does not become the center of the work, the Scherzo is one of the most amazing, mesmerizing takes I’ve ever heard. I don’t know if Schiff uses the moderator pedal throughout, or what else he may be doing, but the playing is gossamer light, swift, incredibly clear and well articulated, and just whizzes by. It’s breathtaking and brilliant. The final movement is more earthbound but still more than excellent. 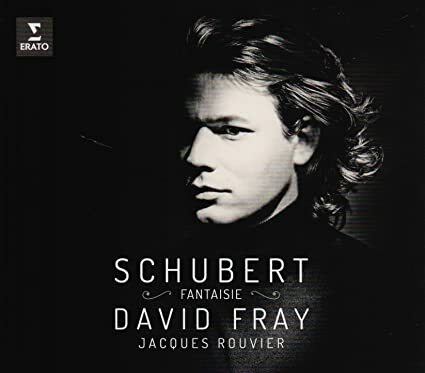 For me, with my limited exposure to HIP Schubert, Schiff now sets the standard, though there is no doubt that I prefer the sound of a modern grand and I will continue to listen to Schubert that way for the most part. This release does make me hope that Schiff revisits Mozart using the Brodmann, or perhaps some other period keyboard. Perhaps he can do there what he does here. 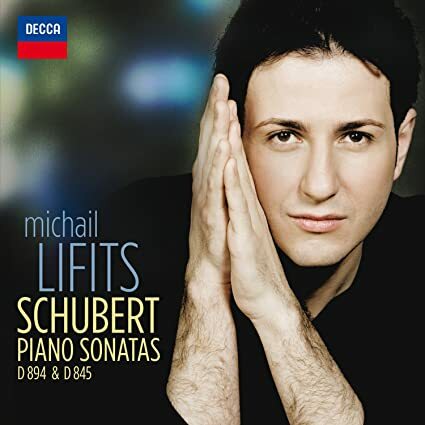 Absolutely gorgeous Schubert recordings by Schiff. I too was skeptical about the fortepiano, but this puts one in mind of how these pieces might have sounded, if anyone had ever played them during Schubert's lifetime. The ear easily adjusts. Too bad recital halls used by major artists like Schiff are completely inappropriate for the foretpiano. Todd--two young pianists I have been enjoying very much lately are Joseph Moog and Hannes Minnaar. Do you know their work? I do not. Mr Moog, in particular, has received praise from others, so I suspect I will hear him at some point. I may opt to wait to hear him in recital next season for my initial exposure to his talents. This disc represents my first exposure to David Fray's playing. I've seen Mr Fray described as this century's Ivo Pogorelich. I took that to mean that he's a young, handsome fella with luxurious and stylish hair who plays idiosyncratically. I'll leave it to gentle readers to assess his looks, but I will say that his playing is idiosyncratic. As I have not heard Pogorelich play any Schubert, I would say that a better comparison would be Tzimon Barto, but only to an extent. Fray very much appears to belong to the Slow Is Profound school of interpretation, at least for this disc. Every piece is slower than normal. Noticeably slower. Rather like Mr Barto, Fray stretches some passages way out, but unlike Mr Barto, Fray never breaks the musical line. In addition to playing slow, Fray also revels in playing quietly. Very quietly at times. His pianissimos are delicate yet colorful, and his dynamic gradation from piano to pianissimo is at least the equal of any other pianist I've heard. Fray also has two more tricks up his sleeve. First is his ability to play slow and loud. Maybe not fortissimo, but definitely forte. Often, pianists speed up when playing loud, but Fray can maintain a proper Adagio tempo and still play loud. That written, it's more impressive than effective. Second, even when playing slow, Fray can impart forward momentum and notable rhythmic flair. This is both impressive and effective. The set includes the Moments Musicaux, and coming right after Andras Schiff's new recording, it offers quite a contrast. This is an unabashedly pianistic take. Fray deploys the resources of a modern grand without hesitation, and to good effect. I prefer Schiff, though not by a huge margin. It also offers a repeatless Allegretto D915, and here it's a toss up. The D899 Impromptus are well played, but here the idiosyncratic nature of Fray's playing is not as effective. Nothing is bad, and I will absolutely be listening again multiple times – playing with this many ideas is hard to resist for a few reasons – but, at the current time, I can't say that this work or the others are the best out there. But I feel compelled to hear more from Mr Fray. As it happens, his newest Schubert disc is in my queue. Hanna Shybayeva is a name new to me. She's a Belarusian pianist now based in Germany. She has won various awards, performed with various second- and third-tier orchestras and conductors, and made a few recordings. I decided to give her Schubert a try. The disc opens with D959 and closes with D784. Shybayeva appears to belong to the Slow Is Profound school of interpretation. This is especially true during quieter passages, where she stretches out phrases and sections to a notable but not exceptional degree. During louder passages, she tends to speed up. Her dynamic range is decent but not great, her quiet playing is decent but not great, her tonal palette is limited but not bad. She doesn't botch any passages, but she doesn't bring anything particularly memorable to them, either. Her Schubert sounds nice, but it is not gorgeous, it is not aggressive (or not enough, especially in the opening of D784), it is not lyrical, it is not deep, it is not dark. It is just sort of there. Alright, I'll 'fess up: Sometimes I do judge a book by its cover, as it were, and I buy recordings based on what can be faulty assumptions. 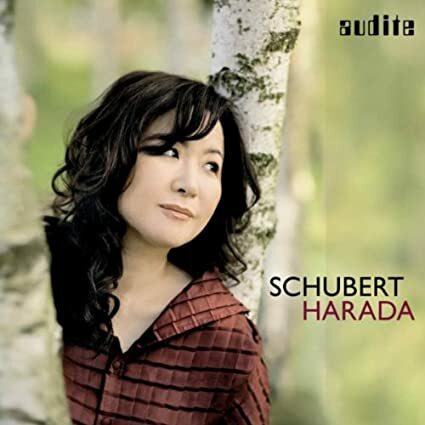 A case in point: Hideyo Harada's Schubert. I saw a shot of a diminutive, female Japanese pianist, and I thought she would play in a measured, tonally lovely, and refined way. In other words, I was expecting Ikuyo Nakamichi. That is not what I got. The disc opens with the Wanderer Fantisie, and Harada's playing is fast(-ish), strident, and intense. This is muscular Schubert, punching its way forward. Harada does slow down in the Adagio quite a bit, but perhaps just to catch her breath. For all the loud, bright, and clangorous playing, the dynamic range isn't huge, and the playing is not exactly the height of subtlety, nor of clarity. At the start of the year, I picked up Jean-Rodolphe Kars' version, which is almost otherwordly and is pretty much the polar opposite of this. His version is one of the greatest I've heard. This one is not. It could work in lieu of a triple espresso to wake a tired listener, though. The second work is the big D960. By big, I mean long. Forty-six big ones long, starting off with an over twenty-two minute Molto moderato. To Harada's credit, the movement does not drag, and she can and does hammer home the loudest passages to good effect. Unfortunately, the playing lacks subtlety much of the time, and more important yet, depth. Despite the great length of the opener, the second movement seems to be the heart of the work for Ms Harada. Her playing is more focussed and she seems to deliver the big picture of the movement, if perhaps not the piece. It has some searching, effective, moments, too. The Scherzo is likewise very good, though coming so soon after Andras Schiff's near-paradigm shifting take, it is clear how much better can be had. The final Allegro is peppy and energetic, with an assertive, biting coda. Not bad. Not great. Ms Harada is certainly a talented pianist, and for those who want their Schubert hard and steely, this could be the ticket. 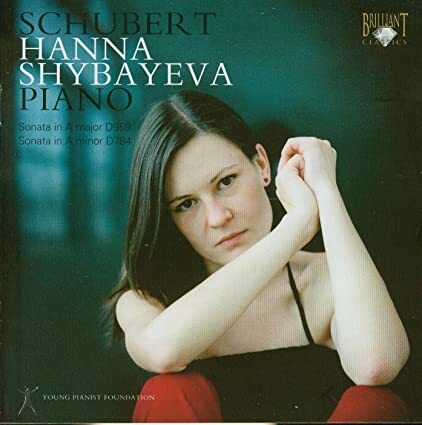 I'm not averse to this style – Kovacevich's recorded Schubert is hardly dainty and is among the greatest of all – but Harada has waded into territory where the heaviest of heavyweights rule, and while she has a heavyweight sound, I prefer quite a few others in both works. Audite's 24/44.1 PCM to DSD transfer sound is bright and clear in the SACD layer and has good dynamic range, but it is not as good as the best redbook piano recordings I own. So light, so clean. That's the first thing that came to my mind listening to D664 as played by George Emmanuel Lazaridis, and I kept thinking it. The delightful little sonata here is more light than delight. Lazaridis keeps it lyrical, and he doesn't perfume the playing with lots of sustain. That can be good or not so good, depending on taste, and for me, the piece doesn't produce a beautiful sound that I can luxuriate in. The Wanderer Fantasie is a bit heftier, but still light, and man does Lazaridis take the opening movement fast. His playing remains a model of clarity, and the energy level stays high (but not Hideyo Harada high) througout. He slows down for the Adagio, and plays in most appealing, if again relatively lightly pedaled fashion. His climaxes sound undernourished, though, which seems to be due to the recording. As he plays the last two movements, Lazaridis' clarity remains exceptionally good, and one can follow the left hand playing with ease, and the repeated right hand figurations near the end are sharp and oh so clean. D960 closes the disc out. Lazaridis' tempo choices are pretty conventional, and the light sound doesn't do much to make the opening movement dark. With the remarkable independence of hands displayed here, the left hand is as easy to follow as the right, which at times may be too much of a good thing. In Schubert, melody is ultimately the thing for me. I will say that his rubato is tasteful and effective, but his bass trills are (perhaps) too light, and the movement as whole never transcends its best moments. Lazaridis makes the Andante sostenuto the centerpiece of the work, and here it is downright lovely and at times nearly hypnotically serene. This is some great playing. The Scherzo is light and fleet (but it has the bad luck to be heard so soon after Schiff's version), as is, for the most part, the Allegro. 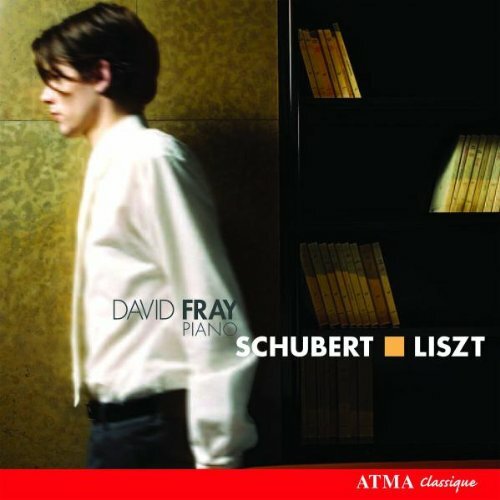 Lazaridis' Schubert overall is light and classical, though individual, in nature. I can enjoy this style, but, the Andante of D960 aside, the disc never really tickled my fancy. About that recording, on my system, and in my room, the piano sounds small and light in the lower registers most of the time, and climaxes never really achieve a satisfying sense of scale. While I doubt Lazaridis plays with a huge, rich sonority in person, I get the feeling he doesn't sound quite like what I heard on the disc. Hot damn! 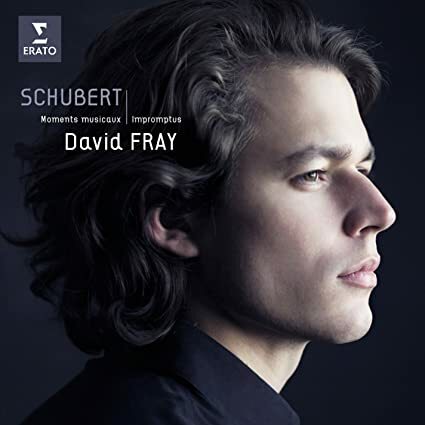 I had reservations about David Fray’s prior Schubert disc, but I have no reservations here. The best analogy I can think of is to proper exposures in photography. Sometimes, even slightly under- or overexposed images can take away some of the impact of a photo, but when the exposure is perfect, the photo is perfect. If perhaps Fray’s playing on the prior disc was slightly underexposed, here it is properly exposed, and with the Zeiss-like perfection of his playing, this disc is a keeper, and then some. The disc opens with D894. Fray's tempo is just a bit slow, but rarely have I heard the first movement flow so perfectly. Fray's emphasis throughout is on melody. The left hand playing, while clear and perfectly controlled, is subdued. Whether that's the playing or the piano or the recording, or some combination of all three, I don't know, and while it ultimately constrains the loudness of the climaxes, it does not in any way hinder the music. If anything, it creates a self-contained sonic world where everything is proportioned just right, and beauty reigns supreme. The Andante flows along much the same way, and Fray does put a bit more oomph into the loudest passages. The Menuetto likewise flows smoothly and beautifully. The Allegretto is astoundingly good. Brisk, crisp, and beautiful the whole time, Fray snaps out some chords with a simultaneously firm and gentle touch, imparting what I can only describe as charming wit. This D894 is right up there with the very best. Fray follows this up with a Hungarian Melody D817 that is essentially perfect. It far transcends Andras Schiff's new recording, not least because of Fray's almost unlimited nuance in the right hand playing. This is a superb disc, one of the best I've bought this year, and proof that the erstwhile majors can, on occasion, still crank out tip-top shelf stuff. I will be exploring more of Fray's recordings. Now, when will he record with his father-in-law? Be sure to try fray's Boulez. In my cart at Amazon already. 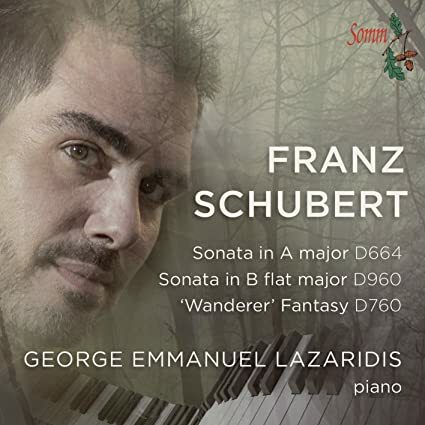 I am listening to the Wanderer Fantasie as part of my review of the Liszt B Minor Sonata, since both use a four-part form, recycling and transforming a few themes, which some say Liszt got from the Schubert work. Brendel is my starting point. Any more recent recordings I should hear? Any more recent recordings I should hear? Endres, Schuch, Schiff, Chamayou, in that order. (Well, for me.) Fray is on my radar. When I saw the earlier Fray posts, I looked to see if he'd done it - but no. So, I'll check out the others you mention. which sizzles like a lightning bolt. Bold, all-caps Wanderer with an exclamation mark. I'm dying for some more GMGers to jump on the Gornostaeva bandwagon so it won't just be me. Thanks, Brian. 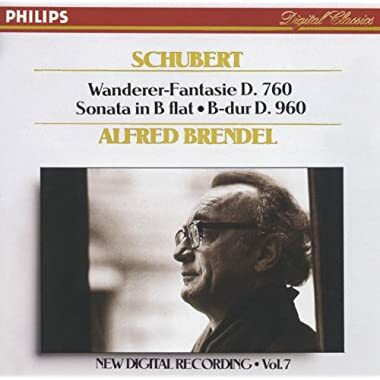 Her Wanderer is not on the Schubert recording on Spotify (drat); and although there are a bunch of YouTube clips, none appear to be of her Wanderer. Also, in a search on NML not a single recording by her came up (odd). It may come down to listening to other wokrs and deciding if your rec is worth the $8.99 MP3 (j/k). When I saw the earlier Fray posts, I looked to see if he'd done it - but no. Fray recorded it for Atma. Well, there you go .. he does both works! Fantastic.